Melkebart is the King of the family. Seriously, he has a crown, but he doesn't always wear it. He is very intelligent, and likes to read books, but he states that one doesn't have to have read many books to be wise, one just have to use common sense and logic. He doesn't like to fight, but he will if he has to, and he is able to set through a powerful blow when he must. Melkebart likes to protect his family, as he is the oldest brother. 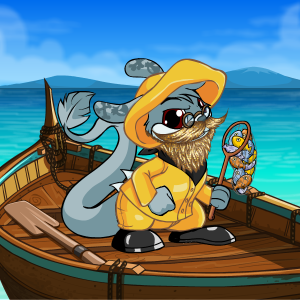 He also cares much for Lugo, his Searex petpet, they both like to relax in the shadow of a big tree or in a pond while they ponder about life's biggest philosofies. Hopsann is curious of nature and likes to roam around unknown places looking for treasure. 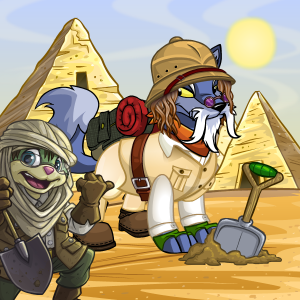 He is always followed by Anubice, his Anubis petpet and best friend. 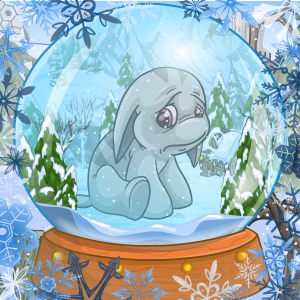 Hopsann can sometimes be a little careless, which once caused him to forget his beloved Anubice on the top of Terror Mountain where the poor petpet froze to snow. That episode scared Hopsann enough to never let Anubice out of sight again. Hopsann is the second oldest brother and he finds it very tempting to take all our neopoints out of the bank and dig them down somewhere in Neopia where he would have to use a map to find them again. 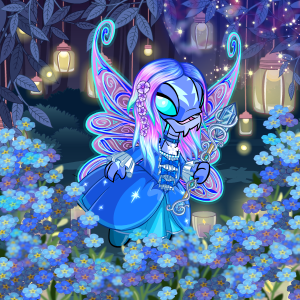 Himmelrik is a very beautiful girl, she has been a sweet faerie for as long as she can remember. But looks can decieve. Himmelrik is in fact the prankster of the family. Sometimes she can pick up a snowball (or a bucket of sludge) and fly up high in the air and drop her weapon on the head of unsuspecting surpassers. Then she hides over the clouds, or she puts on her innocentface and says "It wasn't ~me~!" and people always believe her. 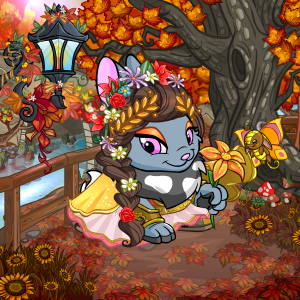 Apart from being mean, she likes to dance through the forests of Neopia and sing her beautiful song that goes like this: "Buzz buzzz bzzz bzzzz buuuzzzzz, zzzzzzzzz, zzzzzzbzzzz". Himmelrik is the second youngest sister, and can often been found trying to carry her very stone-heavy tyrannian Snarhook, who she has named Little Lord Skyhook. Lillebiipa is always calm and quiet, most of the time because she is lurking on something. Lillebiipa is not very careful with her experiments, which has caused her to mutate quite a few times. After a few years of continiously changing her appearance, she finally decided to be a Cybunny, as she had been before that Boochifellow ambushed her. 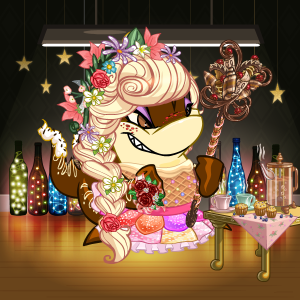 She and her brothers are pirates with mean eyebrows, but apart from her worshipping of Dr. Sloth and plotting the downfall of Neopia, she is a sweet little princess. Lillebiipa likes to lurk in the shadows with Herbert, her Spoppy petpet whos appearance is just as dark and creepy as her own. Ponka came out of nowhere one day, and quickly became a member of the family. 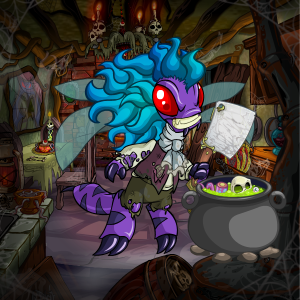 The first few weeks he was a pirate Kougra, until he suddenly dropped his disguise and revealed himself as a Wraith. He can make himself invisible by hiding in the shadows of a wall, but you can notice he is around if you see a little Ponka sitting by staring at you. Ponka has a Ponka petpet named Ponka, and the little Ponka sits there and sings the Ponka song as an omen for what to come. Dindust is the self-proclaimed Keeper of the Lab Account. For years he has been carefully keeping watch over pets that come to the account for this one purpose, to be zapped and given away. He actually feel very sorry for unfortunate pets that have been dumped to the Pound, and seem to get stuck there for ever and ever. While they are on the lab account, Dindust works to keep their hopes of a better future up, and he makes sure they are all happy and fed. He is very good at scaring Neopets, as he ~is~ a ghost, and he likes to pop out of the ground and scream "BO!" in their faces. But he never does that to the residents of the *spooky music* ~Lab Account~. 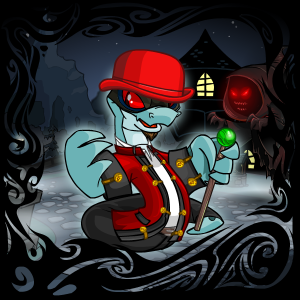 Dindust's petpet has also been zapped, but Dindust states that his petpet shall never leave the *spooky music* ~Lab Account~. Tecobo used to be sitting on the ground, just staring at the sky, dreaming that she, one day, would be able to fly. Then one day her dream finally came true. She got her wings, her beautiful blue wings, and she could fly playing through the forests just as her cousin Himmelrik always could do. Tecobo likes best to fly in the jungle, whith many obstacles she has to fly through. She likes speed, and is often (or hardly) spotted quickly zooming through the trees. Everyday she tries to cheer up her depressed brother Zakrixus, by showing him her best air acrobatics. Her Snorkle petpet, Bocobo, likes to run after her shadow on the ground, but often collapses in sleep as she is to fast for anyone to catch up with. Everyone always try to cheer up Zakrixus. They wish for him to be happy, they wish for him to be able to smile and laugh when life is so good. But they don't really know, and Zakrixus has never bothered to tell them, that he really likes to be sad. He feels at best when he can sit quietly and sigh at the world. His petpet Pooka, the Dandan, is always ready for a little cuddling and hugging when Zakrixus feels he needs it. 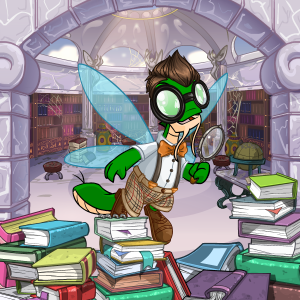 Zakrixus knows much, but he keeps his knowledge to himself so the other pets can find answers out on their own. He is very fond of his eager sister Tecobo, but thinks she should calm down a bit now and then. No one has really learned how to pronounce Xiaofelicqi's name. When he says it, he always make a clicking sound with his jaw and claws, so the rest of the family is allowed to call him "Felix". He also replies to "Bob" and "Frank", not to mention "George". 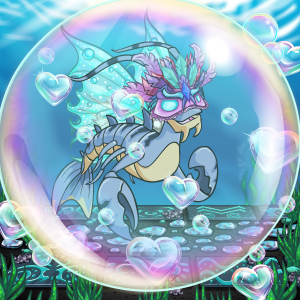 He is the only Maraquan pet in the family. "Felix" is never to be taken seriously. He is a real joker, and operates with a real dry humour (Get it? Since he is underwater..? Dry? Heh heh...). Otherwise, his favourite activity is to pinch with his claws, whatever come sin his path, seaweed, seagrass, ...arms..... He has a Christmas Mazzew as a petpet, but Nisse isn't always to be found, that one petpet is often gone missing, probably to avoid the pinching claws of its owner. Beiea is the family's only baby. She is a sweet little girl who loves to smell the flowers. Her favourite colours are pink and baby blue, and her favourite food is potatoes. She loves a good roll in the mud. She also has a Feepit petpet called Asuka, who is as cuddly and blue as herself, when not enrolled in mud. It is hard being a big scary beast, when you are just so sweet. Bikube tried so hard to be big and mean, but her sweetness is always more dominant than her fierceness. But you should know, she is still a Jetsam, so don't go sticking your fingers in her mouth. Then you'll lose them. 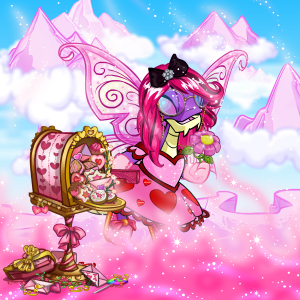 Bikube loves flowers and clouds, and her little petpet kinda looks like a fluffy little cloud. It's name is Fluffy, or Wuffy, or something like that. Oh, and if you wonder where the von roo plushie's heads are, Bikube ate them all. Harpiks can be a bit scary. He is a psychic and can tell your fortune with his crystal ball. It speaks to him. The crystal ball. Harpiks is an expert in moving silently, and has a tendancy to sneak up on people. You won't know he's there until his whispering voice will come from behind your ear telling you your unfortunate fate. Other than that, he is nice, smiling fellow. 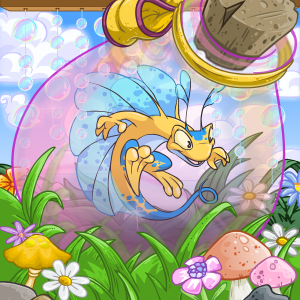 His petpet might just be an illusion. But what do we know. Bodoe is a frequend visitor at the Healthy Food Shop. She swears to healthy, organic food, and lets no one stop her when lecturing her greedy family about healthy diets. She likes feng shui and meditation. She can be percieved as a big pain by her family, and one time, when she tried to make a zen garden in Dindust's tomb, he decided to hypnotize her to stop her from rampaging the cold cemetary. Now, everytime someone says the word "Beetroot" she starts believing she is a singing butterfly on stage, and always gives the performance of her lifetime. Glaucium is a pirate swabby on a lowbudget pirate ship, where his job is mostly to stop the seawater to come in the holes in the ship. The ship has several times gone down to the bottom of the sea, but Glaucium only sees that as a good chance to visit his underwater brother Xiaofelicqi. 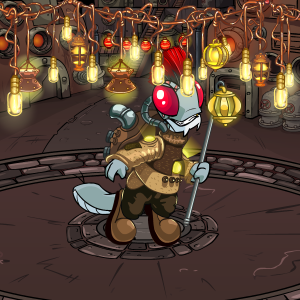 Glaucium has a petpet Buzzer that has made its hive at the top of his ship's mast. Glaucium does not appreciate this pest on the ship, but chasing a Buzzer away from what it consider it's home is an impossible task. When Glaucium is on land, he likes to bargain with other pirates to get their loot. He has obtained lots of loot this way, but he has lost many of his treasures to the bottom of the sea, much to Xiaofelicqi's enjoyment. You stand in a dark forest and the only sound you hear is the singing of the bugs and the whistling of the leaves. All you can see is what the moonlight manages to lit. Suddenly the calm is interrupted by a loud WHOMP! that makes the ground shake under your feet. You see two red lights coming at you. That is cbunya. Eyes glowing red, he is hammering at the ground as he quickly approaches. The little monster following him snaps it's teeth at the look of you. Only one thing to do. Run! The name's Stjerneskudd, "Shooting Star". She sleeps during the day and flies at night. She is not as quick as Tecobo, or as good as maneuver between trees as Himmelrik, but she is the one who can fly highest. Up, up and up! If she could only reach the stars! Although, she is a tiny star herself. 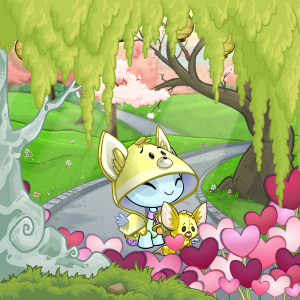 :* She has named her little petpet after her favourite planet, Saturn. A little prince. Mygg always looks up to his brothers Glaucium and cbunya. He wishes he could be as fearless as cbunya and as charismatic as Glaucium. He also admires his sister when watching her fly. But Mygg is a sweet and well-mannered little prince. He would prefer to fly a few inches over the ground, or even walk, rather than pushing himself to the limit. Maybe he is a dreamer, and instead of trying to reach his siblings heights, he dreams himself away, to peaceful and quiet kingdoms. Little Skywise always follow him around giving good and friendly advises.